The heavens beyond the realm of Sornieth hold more than the stars, moons, and planets. 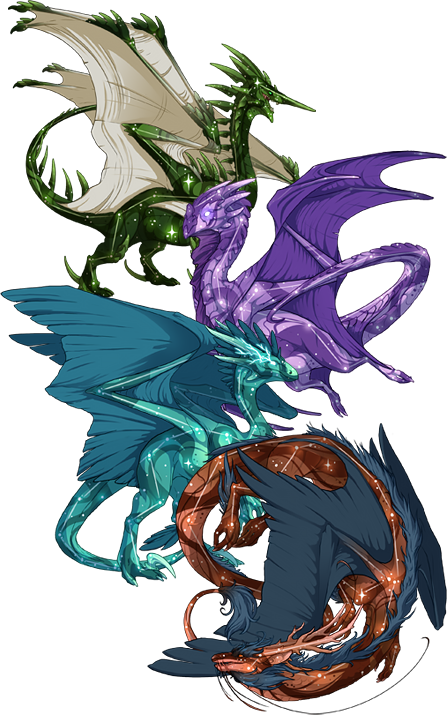 Powerful cosmic energy is now starting to manifest in the markings of dragons that spend their time researching the great unknown. 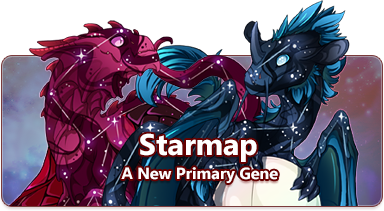 A new gene, Starmap, is now available in the Gem Marketplace! Today we've launched our newest primary gene: Starmap. This twinkling gene applies a swirling galactic depiction of a dragon-shaped star pattern across the body. Starmap's companion secondary gene, Constellation, will be released at a later date. Starmap is available now in the Gem Marketplace. 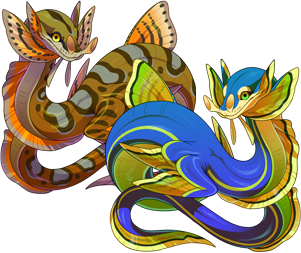 Lookin' to make a few new deals on a few new eels? A few barrels of Quetzeels have been showing up at Swipp's Swap Stand. Many a dragon has been startled when this fish appears in the water. Snakeheads breathe the air directly through a primitive lung, allowing them to live in waters other fish would be smothered in. Whooo needs a new look? You can grab this new vista in the Treasure Marketplace. :O amazing! love starmap so much.